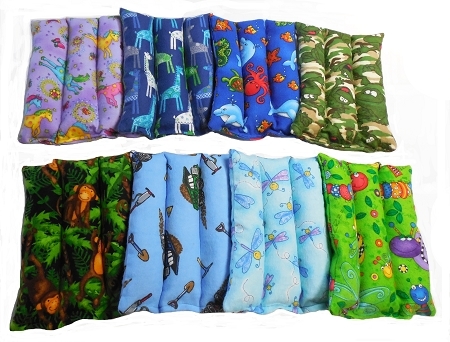 Our soft flannel Boo Boo Buddie Pacs are a must for every household with toddlers. 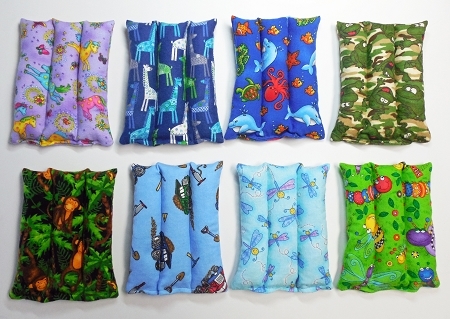 Just 30 seconds in the microwave our Boo Boo Buddie provides warm, moist heat to ease earaches, tummyaches, colds, etc... Store in the freezer for the perfect cure to provide relief for those daily bumps and bruises in life ! 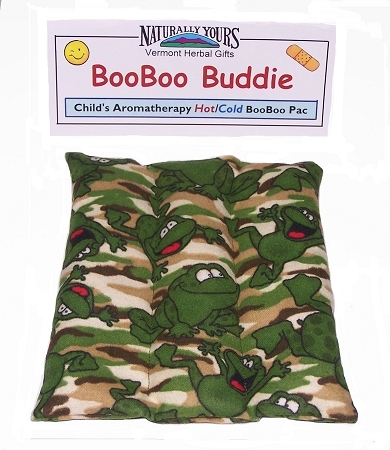 The 6" wide x 7" long Hot/Cold Therapy Boo Boo Buddie Pac is just the right size for little ones. Penetrating heat or gentle cold relief along with the aroma from the herbs offers a therapeutic relaxing and calming effect. Use Hot to create a moist aromatic heat to provide relief for a variety of aches and pains.... such as earaches, chest colds, toothaches, upset tummies, or any kind of owie.... Warm up at bedtime to help with falling asleep. Use Cold to reduce swelling and pain from scrapes, bumps and bruises. Less shocking than gel packs or a bag of peas. Store in the freezer to have readily available when your toddler needs cooling relief for a little Boo Boo. Can easily go from the freezer to the microwave if warm heat is needed instead. Filled with our formulated mixture of 7 organic herbs for relaxation, flaxseed for thermal ability to retain heat and rice for moist heat therapy. Made from flannel fabric that has been doubled stitched creating 3 channels to hold the fill in place for even heat or cold distribution, it feels comfy against the skin whether it's used Hot or Cold. We make all our our Herbal Packs ourselves to ensure a quality hand made product. 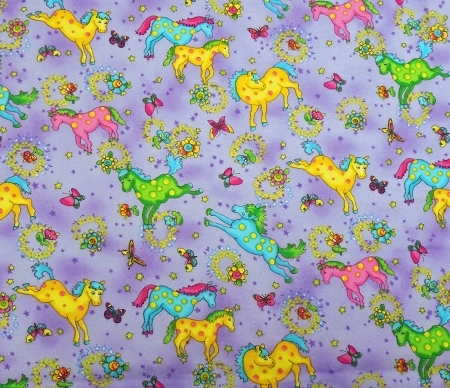 Available in 5 assorted Flannel Fabrics. Makes a great baby shower or birthday gift. Warm in the microwave for 30 - 45 seconds depending on desired warmth. Soothing aromatic heat should last for almost 30 minutes. When Boo Boo Buddie begins to cool, reheat at 30 second intervals. Remove Boo Boo Buddie from ziploc bag and place on area of discomfort. Boo Boo Buddie should stay cold for up to 30 minutes while staying dry and pliable. I purchased two of the boo boo buddie for my children in Lake George in June. I bring them everywhere and instantly help my children if they get a boo boo.